I just got back from AES in New York, and as always, had a great time. Pro audio conventions are great ways to be able to reconnect with old friends and colleagues, meet new ones, and interact with the manufacturing community. And there were tons of great panels and workshops at the show. There’s an unbelievable amount of information being shared by people who are the tops in their fields, and I wish I could have been at every single panel. The guidelines for high-res (which is defined as greater than CD quality in both bit depth and word length) were developed to address the fact that although consumers are able to listen to audio in high resolution, their playback choices haven’t always been open or transparent. Meanwhile, creators haven’t adopted standard high-res practices, which has led to inconsistencies and inefficiencies in both the way we work and the material we produce. The P&E committee has spent the past three years researching technology and digging deep into production habits, gathering and refining information to put in one cohesive package that outlines the best practices for the production community. It evaluated technology used on the creative side of making records, but also the commerce side: what consumers are demanding, what options are available for playback. Ultimately, the goal is for consumers to be able to easily experience high-quality audio, which we hope leads to greater enjoyment of music that’s as close as possible to what the artist and technical team. The sonic advantages of working in high-res are clear, including the ability to lower the noise floor and open up detail in overtones, spatial cues and other information that reveals dimension and life in a mix. But a key priority in this age of rapidly evolving technology is long-term viability, ensuring high-resolution files will be compatible with future devices and formats. Many people have been working in high-res for a long time, and many have not. We know that resolution keeps getting better over time, and we continue to push boundaries. By adopting these best practices now, you're helping to future-proof your work, while making a commitment to the highest standards of quality—and everyone benefits from that. The P&E wing is not a standards organization, but it is recommending best practices with the intent of raising the bar for everyone. 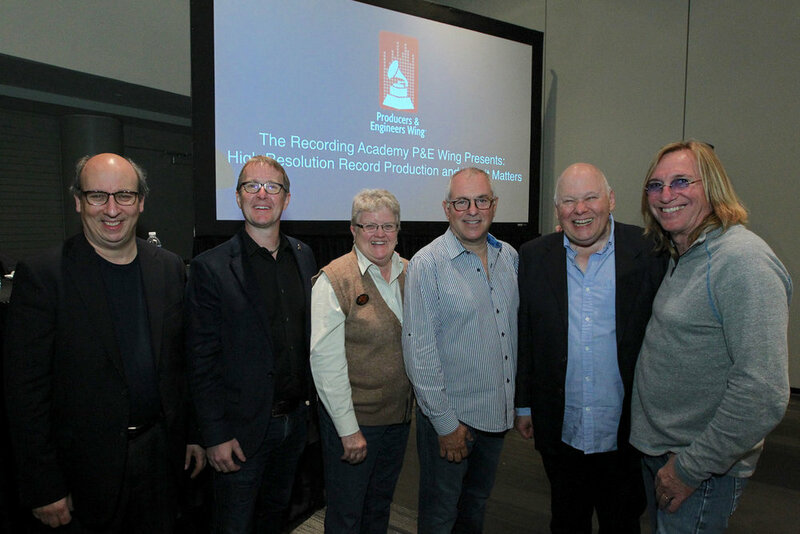 These high-res and deliverables documents were created in conjunction with the Audio Engineering Society, which is adopting the same nomenclature and file structure in its specifications that it is putting forth as standards. I’ve been involved in the Recording Academy for a long time. The P&E Wing is an indispensable source of information for the production community; as a member, you gain access to these recommendations, plus guidelines for backup strategies, surround sound recommendations, metadata, and more. I encourage you to read this information, evaluate your options and consider the implications on your craft and your livelihood. Ultimately, it’s up to you to decide what’s best for your project. As far as I’m concerned, I’ve experienced the difference, and wouldn’t settle for anything less than high-res for my work and my clients. Coast Mastering is the premier audio mastering, restoration and archiving facility in Northern California, staffed by Grammy-nominated engineers Michael Romanowski, Piper Payne and Jessica Thompson.